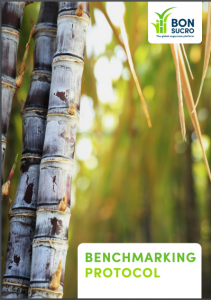 Bonsucro, the global sugarcane platform, proudly presents its Benchmarking Protocol today. The protocol is the cornerstone of Bonsucro’s Benchmarking & Endorsement Programme. This programme fosters collaboration between the growing number of schemes, tools and standards that improve and validate the performance of sugarcane farmers and mills. It also aims to create transparency for producers, buyers, investors so they can make informed choices about the schemes and tools that work best for them. The Protocol clearly establishes the level of alignment between any scheme, standard or tool and the Bonsucro Production Standard – the global reference for the production of sugarcane products. Benchmarking is possible for schemes that take a holistic approach, but also for those that have a specialised focus – such as labour practices or water use. Benchmarked schemes provide the basis for another innovation that Bonsucro is working on, which is endorsement of local improvement programmes. This looks at how the Bonsucro Standard or a benchmarked scheme is used on the ground to drive real performance improvement at farm and mill levels. Bonsucro expects to launch this instrument later this summer. The launch of the Bonsucro Benchmarking Protocol signifies the culmination of a thorough design process. This involved online and offline consultations, several pilots and deep involvement of many of Bonsucro’s members and partners. “We would like to extend our sincere appreciation for all the feedback and support that we received over the course of this process”, says Sven Sielhorst. 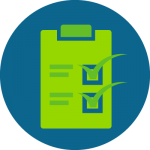 More details about benchmarking, including the Benchmark Protocol, a list of Frequently Asked Questions and an overview of the benchmarked schemes can be found on the Bonsucro website via the Benchmarking & Endorsement page. If you have any questions, or you would like to explore the possibilities of having your scheme benchmarked, contact us at info@bonsucro.com.